Explanation: A bright new nova is being studied by astronomers. The officially dubbed Nova Scorpii 2007 has become so bright in recent days that it is now visible to the unaided eye. Adventurous early morning sky enthusiasts should look in dark skies toward the constellation of the Scorpion, just below Jupiter and Antares. The above image may help as a sky chart. A nova this bright occurs only every few years. Novas are caused by thermonuclear explosions casting off the outer layers of a white dwarf star. Pictured above on Friday, the nova was being studied through a small telescope as it appeared over the Varzaneh Desert in Isfahan, Iran. 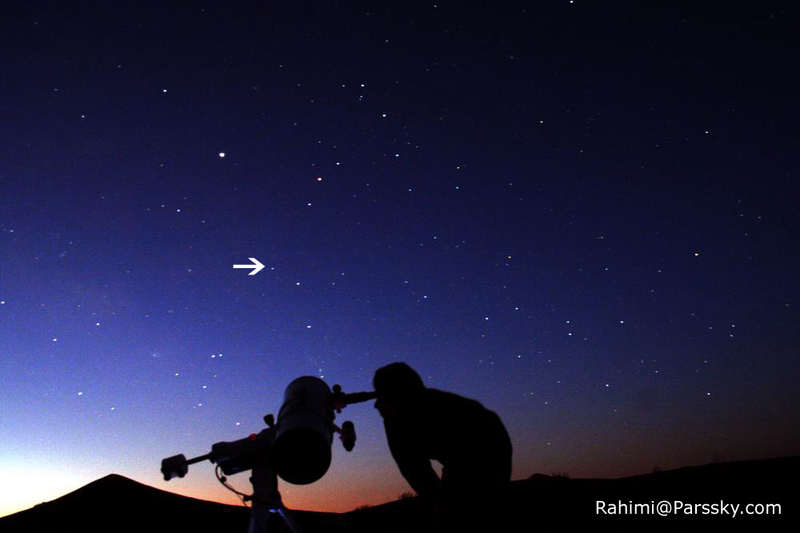 The nova will likely fade but remain visible with binoculars for at least a few more days.